When preparing to perform a deep cleaning on your home, you might become overwhelmed by the amount of tasks you have to do. One way to make things easier is to organize all that you have to do in a checklist. 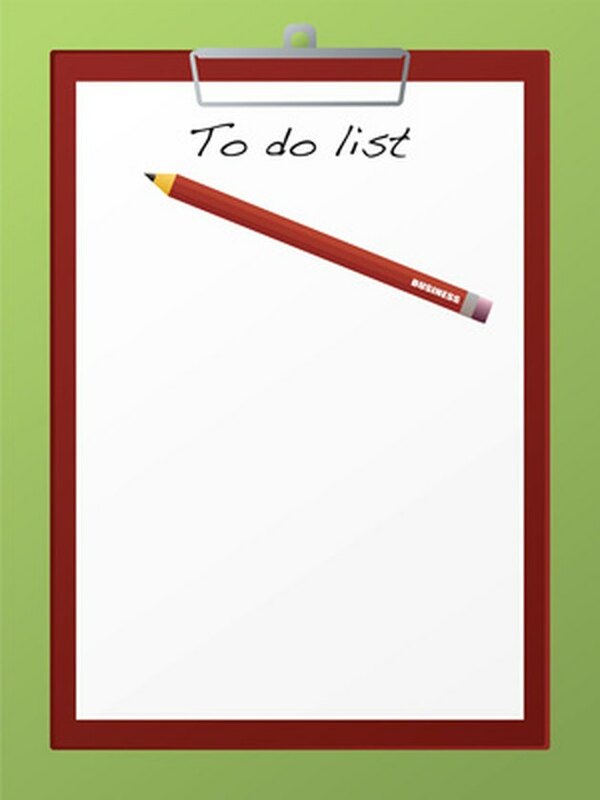 A cleaning checklist organizes cleaning tasks, large and small, and keeps track of your progress. A cleaning checklist makes spring cleaning an organized process. List all of the rooms in your house, including the kitchen and bathrooms. Leave space under each room to write different tasks. Add "Dusting/Sanitizing" to each room's tasks. Furniture should be dusted with a soft cloth and polish. Surfaces like counters and sinks need to be sanitized. Write down "Vacuum or Sweep/Mop" for each room. Add a list of things to wash for each room. For example, any room that has a bed needs to include washing linens to its tasks. Bathrooms have towels, kitchens may have wash rags and living areas might have blankets. Add "Empty Trash" to any room on the list that has a trash can. Visualize each room top to bottom. Add tasks that may be specific to particular rooms.